Pallet jacks are also known as pallet trucks, pallet pumps, pump trucks, and jiggers and are used to lift and move pallets, which are flat transport structures used to support goods and are most often made of wood. Pallet jacks are safer than moving pallets by hand, and are cheaper and more efficient than using larger forklifts. CertifyMe.net teaches workers about class 2 and 3 pallet jacks which includes electric motor narrow aisle trucks and electric motor hand or hand/rider trucks. These two classes are further broken down to include high lift straddle jacks, order pickers, reach type outriggers, side loaders, turret trucks, swing mast and convertible turret/stock pickers, low lift pallet jacks, rider trucks, low lift platforms, low lift walkie pallet jacks, high lift counterbalanced, and low lift walkie/ricer pallet jacks. What Types of Jobs Pallet Jacks Are Used for? Pallet jacks are simply used to transport pallet support structures that often contain the goods dropped off from a truck at a warehouse or retail facility. Electric pallet jacks are best for heavy loads and traveling long distances across a warehouse compared to manual jacks. 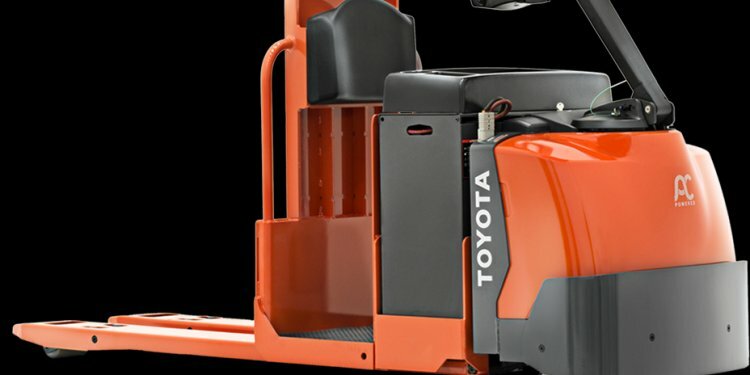 Other types of forklifts are used for heavier lifting and loading jobs, and are always powered electrically with a worker seated inside of a protective cage. Unlike manual pallet jacks, electric pallet jacks weight a few thousand pounds without a load and rider pallet jacks in particular need to be driven very carefully because of the awkward way the operator rides the machine. The user stands on the side while the pallet jack moves and they are exposed on the end of the machine. Hitting an object or moving too fast can result in being crushed. Other common safety hazards include collisions, defective machinery, being hit by falling objects, and breathing in fumes from a charging battery. Pallet jacks can be dangerous just like any other type of forklift and they come with their own unique hazards. Electric pallet jack certification teaches workers how to operate the pallet jack safely and properly, recognize and avoid hazards, and maintain the machine properly. CertifyMe.net offers online pallet jack training that takes only about one hour to complete, can be accessed on any device with the internet, and each equipment class costs only $59.95. Workers have the option to take either English or Spanish instructions, and can print their certificate immediately after completing the course. CertifyMe.net takes OSHA standards and regulations very seriously and ensures all training programs are compliant and up-to-date.